February 8, 2018 By Law Offices of Bryan Musgrave, P.C. Being involved in a collision is difficult enough without also having to deal with a car accident liability dispute with an insurance company. Some insurance companies will dispute the liability of their insureds even when witnesses and the police firmly believe that the insureds were at fault. Are you involved in a car accident case in which the at-fault party is disputing their liability? Don’t give up hope. With the help of an experienced personal injury attorney, you can build a strong case that demonstrates the liability of the other motorist. If you are injured in a car accident that was caused by the negligence of the other driver, you might be shocked when the insurance company and the at-fault driver try to dispute liability. Insurance companies are motivated to minimize the amounts of money that they need to pay out in accident claims. One way that they try to reduce their losses is by disputing the liability of their insureds in accidents. If this happens, you will need help from someone who knows how to collect evidence that clearly demonstrates the liability of the other driver. An experienced personal injury lawyer may work with investigators and accident reconstruction experts to help you build a strong case and to encourage the insurance company to settle. Immediately after your accident, you must stay at the scene and call the police. Take photographs of the damage to your vehicle, to the other driver’s vehicle, and the other driver’s license plate. Call law enforcement to come document the collision and the scene and to gather information, even if you plan to exchange information with the other driver. Get the names and contact information of anyone who witnessed what happened. You should also photograph the scene of the accident, making certain to photograph the resting place of each vehicle and the traffic control or traffic conditions, if applicable. Some at-fault drivers will act aggressively and try to blame you or others. Do not accept blame and do not be intimidated, but also avoid getting into a confrontation. When the police arrive at the scene, tell them what happened and point out any witnesses who saw the accident. If for some reason the officer does not write a police report, request one. At the very least, you have the right to make a “walk-in” collision report, which can often be done online. Make certain that you seek medical treatment immediately. Some injuries are not immediately apparent but may be serious and will show up after a few days. It’s important that you see a doctor to get checked out, even if you are not sure if you are injured or simply “in shock.” If you do not get medical care, you are giving the insurance company another common excuse to deny or delay your claim. After you have received treatment, report the accident to the other driver’s insurance company. When the insurance adjuster contacts you, do not agree to make any statements. Why? Insurance adjusters try to save money for their companies by reducing potential settlement amounts. One way that they do this is requesting statements from injured victims (even when they are in shock or on strong medication) and then using what they say against them. Instead of immediately providing a statement, tell the adjuster that you wish to speak to them later, and then consult with an attorney as soon as possible, before you give any statement. The insurance company will notify you if there is a car accident liability dispute. Your attorney can respond to the insurance company for you and outline exactly what happened with evidence and provide details of the losses that you have suffered. If the insurance company refuses to settle, you will need a lawyer experienced in formal lawsuits and appearing in court. Insurance adjusters and attorneys analyze accidents to determine what happened immediately beforehand. In many cases, there will be obvious indicators of the fault of a driver. For example, if the driver committed a traffic violation such as running a red light or speeding right before the accident, the violation may be used as direct evidence of liability. Other types of driving behaviors may also be negligent and cause accidents while not being illegal. For example, your attorney may look for evidence of the other driver being distracted by eating food while driving or talking on a hands-free cell phone. It some cases the at-fault driver may have been impaired and should not have been driving. Police reports provide important information, but they are not definitive or legal proof of fault in a car accident case. If you’re engaged in a car accident liability dispute, and the other party’s insurance company is disputing all or part of your claim, your attorney will need to build a strong case that clearly shows fault. In order to do this, your lawyer will work to gather as much evidence as possible. He or she may also hire an accident reconstruction expert who can download ECM (“blackbox”) data from the defendant’s vehicle, perform calculations to show speed/distance and to show what happened just before the accident, and give an opinion regarding liability. Your lawyer may also use an investigator to contact and interview any witnesses. Finally, once all of the evidence of liability has been gathered, your lawyer may present it to the insurance company. An experienced injury attorney will not charge you out of pocket for a thorough investigation of your case. In many cases, insurance companies will ultimately decide to settle accident claims when they are presented with strong evidence demonstrating the liability of their insureds. Wishing to avoid the risk of a trial, they will seek a settlement instead. 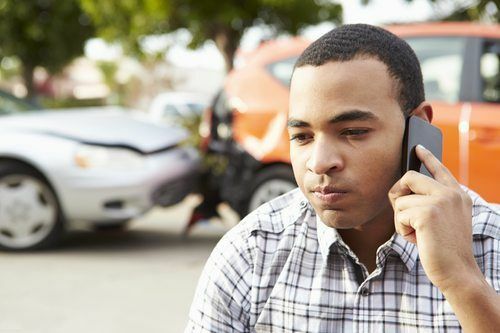 So while it may be overwhelming to have liability disputed after your car accident, you should remember that most car accident claims are settled before they ever get to trial. Are you involved in a car accident liability dispute? You don’t have to face the fight for fair compensation alone. Contact the Law Offices of Bryan Musgrave, and schedule a free initial consultation to explore your options. We can help you determine the best course of action so that you can obtain the maximum compensation you deserve and the best outcome for your claim.